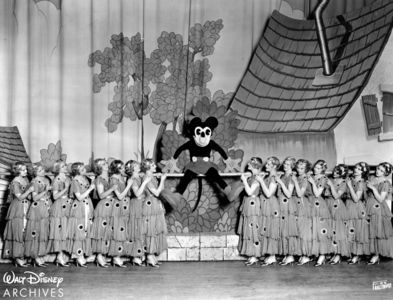 Mickey Mouse made his worldwide debut with the premiere of the short film Steamboat Willie in New York City's Colony Theater on November 18, 1928. That date is celebrated as Mickey's "birthday," and as Minnie Mouse appeared in the film too, it is considered her birthday as well. 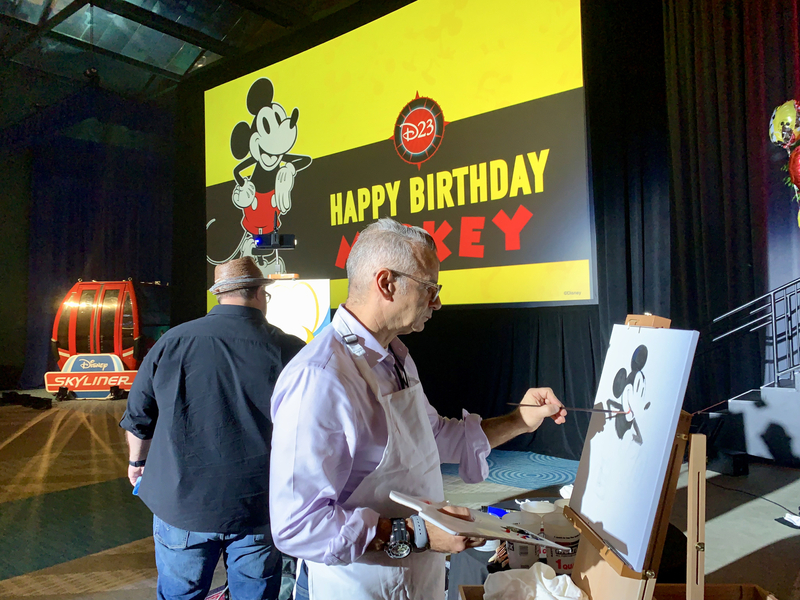 On November 18, 2018, Disney Parks on both coasts marked the occasion and D23, The Official Disney Fan Club, hosted Destination D: Celebrating Mickey Mouse at Disney's Contemporary Resort at Walt Disney World Resort. More celebrations are planned throughout 2019. 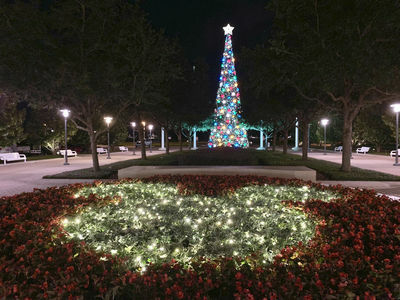 While Disney Parks held some celebrations on and around November 18, readers of our weekly MousePlanet.com Disneyland Resort and Walt Disney World Resort Updates already know, Disneyland in California and Magic Kingdom in Florida both plan to start their major celebrations of Mickey and Minnie on January 18, 2019. The in-park parties will feature new and enhanced entertainment along with special decor, foods, and merchandise. Celebrating Mickey & Minnie's Birthday at Disneyland, November 18, 2018. Video by Todd Pickering. Celebrating Mickey & Minnie's Birthday at Magic Kingdom on November 16, 2018 (with "Good Morning America"). Video by Alan S. Dalinka. Starting January 18, "Mickey's Mix Magic" will light up the night. The nightly extravaganza includes a dance party throughout the park, with "DJ" Mickey playing the new celebration song, "It's a Good Time" along with "new, fun takes on favorite Disney songs." Main Street, U.S.A., the water screens on the Rivers of America and the façade of "it's a small world" will all provide viewing areas for projections, lighting and lasers celebrating Mickey Mouse. On select nights, "Mickey's Mix Magic" will also include fireworks. On January 25, "Mickey's Soundsational Parade," returns with a new, "larger-than-life opening, inspired by classic and nostalgic Mickey pull toys." Chip and Dale bring along a giant celebration cake, as Mickey and his drum corps kick off a procession of Disney characters. From January 22 through February 18, Disneyland celebrates "the love of Minnie and Mickey for Valentine's month." A new Mickey Mouse flower "portrait" will greet guests along with Valentine's Day décor all along Main Street, U.S.A. 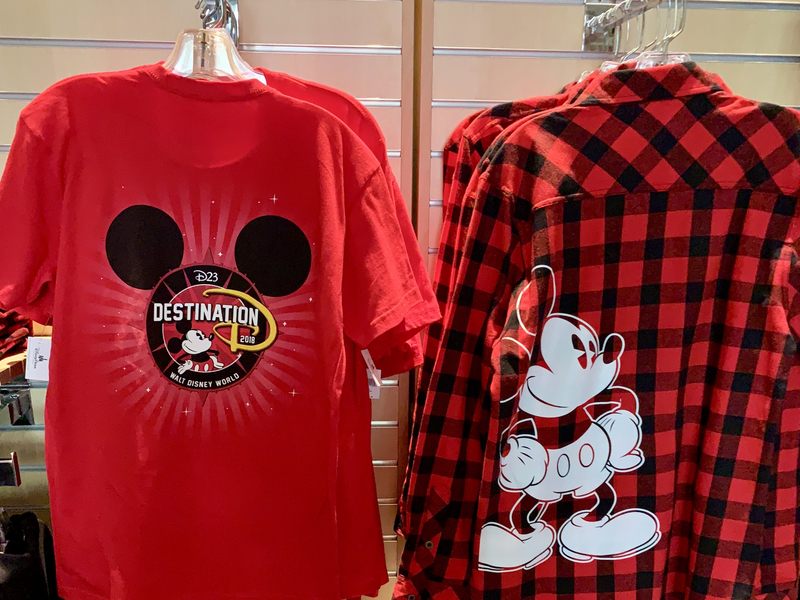 Guests may also purchase a commemorative map and stickers set to hunt for "hidden valentines that Minnie has left for Mickey around the park." Completed maps can be redeemed for a special Valentine's "surprise." Starting January 18, the new celebration song, "It's A Good Time" will play as part of the new "Move It! Shake It! MousekeDanceIt! Street Party" several times daily along Main Street U.S.A. 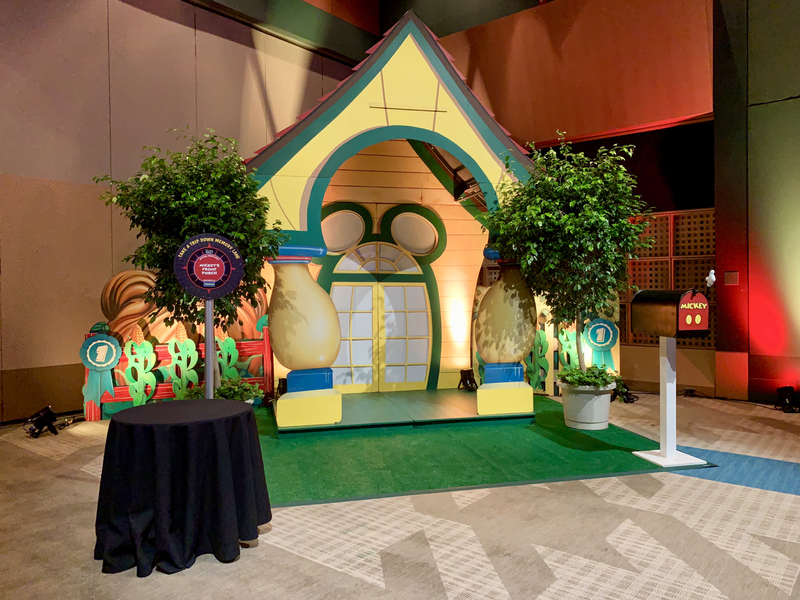 Inside Town Square Theater, guests can meet Mickey and Minnie wearing their new birthday celebration outfits, and can sign a guestbook. Mickey's beloved dog Pluto will also meet guests inside Pete's Silly Sideshow in Fantasyland's Storybook Circus area. 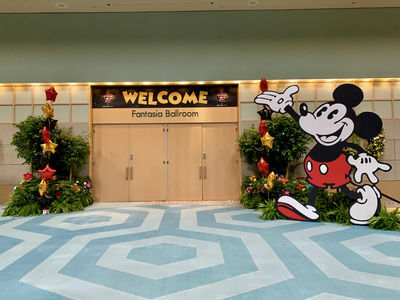 From November 16 to 18, 2018, Disney's D23, The Official Disney Fan Club, welcomed over 1,000 attendees from around the United States and several countries to Disney's Contemporary Resort Convention Center at Walt Disney World Resort, Florida, for its biennial Destination D event, this time entitled "Celebrating Mickey Mouse." Disney's official fan club is named "D23" in tribute to Walt Disney's first Hollywood studio, which Walt and Roy O. Disney began even before Mickey Mouse. The Walt Disney Company launched D23 in 2009, and in odd-numbered years hosts the D23 Expo at the Anaheim Convention Center, featuring all the divisions of the Company; the next D23 Expo will be held August 23 to 25, 2019. In even numbered years, D23 hosts the smaller, more focused Destination D events. 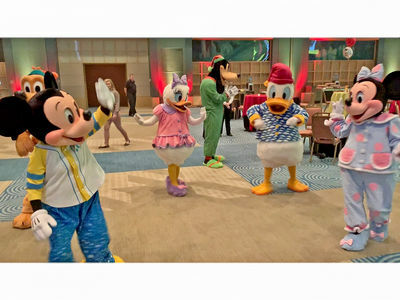 Disney's Contemporary Resort Convention Center welcomed Destination D: Celebrating Mickey Mouse attendees. Photo by Alan S. Dalinka. Fantasia Ballroom in Disney's Contemporary Resort Convention Center was the main location for Celebrating Mickey Mouse during Destination D 2018. Photo by Alan S. Dalinka. D23 provides a wrap-up of the entire weekend's event in this video of just under 3 minutes. Video courtesy D23: The Official Disney Fan Club. ©Disney. All D23 special events for Disney fans and enthusiasts include speakers, displays, screenings, and, of course, special merchandise. 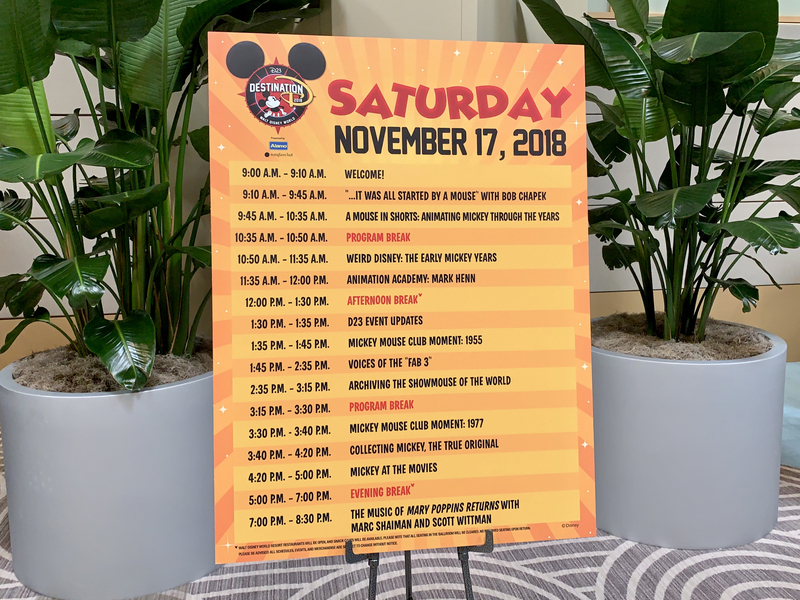 This year's Destination D provided a close up look at Mickey Mouse, plenty of tributes to Minnie Mouse, and a special musical concert and discussion featuring Marc Shaiman and Scott Wittman, creators of the music for the brand new Mary Poppins Returns ahead of its December 19 theatrical opening. I was privileged to attend as an invited media guest, and provided updates over the weekend on MousePlanet social media channels, which have been collected together into this Twitter Moment full of even more photos and comments than in this article. Celebrating Mickey's 90th Birthday included the same "Happy Birthday Mickey" button distributed in the park (the tie and shirt, on the other hand, are both nearly-decades-old personal purchases from past Walt Disney World vacations). 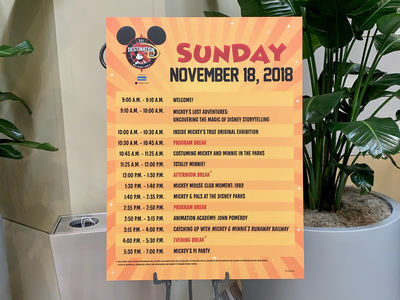 While some media events were held and some attendees began their Destination D visit on Friday, November 16, the first full day of programming was Saturday. 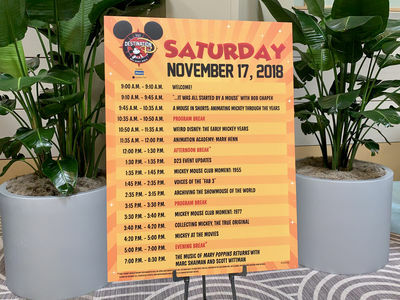 The concluding day's schedule was posted Sunday morning outside Fantasia Ballroom. Photos by Alan S. Dalinka. Disney Parks fans have come to expect that, like at D23 Expo, no matter the theme of a Destination D event, Disney will share announcements about major new projects and more details about already announced projects underway at Disney Parks around the world. 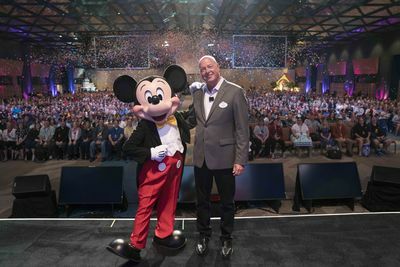 To meet that expectation, first up on this year's Destination D agenda was Bob Chapek, Chairman, Disney Parks, Experiences, and Consumer Products. His presentation was fittingly entitled "…It Was All Started by A Mouse," since, of course, Mickey was the starting point for Disneyland and the rest of Disney Parks. We provided our rundown of the myriad of new announcements he made in our MousePlanet.com weekly Disneyland and Walt Disney World Resort Updates, and you can read our full recap of the announced plans, including the latest details for Star Wars: Galaxy's Edge (which applies to Disneyland Resort), in the Walt Disney World Resort Update for November 20-26, 2018. 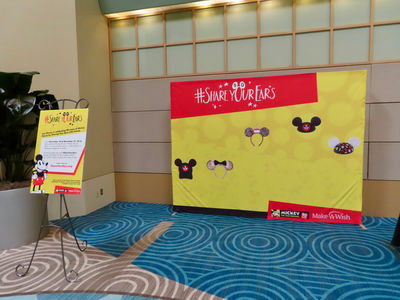 At the conclusion of his presentation, Disney Parks, Experiences and Consumer Products Chairman Bob Chapek was joined by Mickey Mouse and all the Destination D attendees in taking a #ShareYourEars photo kicking off the campaign's second phase which, ultimately, led to a $3 million by Walt Disney Company to the Make-A-Wish Foundation. Photo Courtesy D23: The Official Disney Fan Club ©Disney. Most of a Destination D weekend is filled with presentations by panels on subjects celebrating the event's theme. 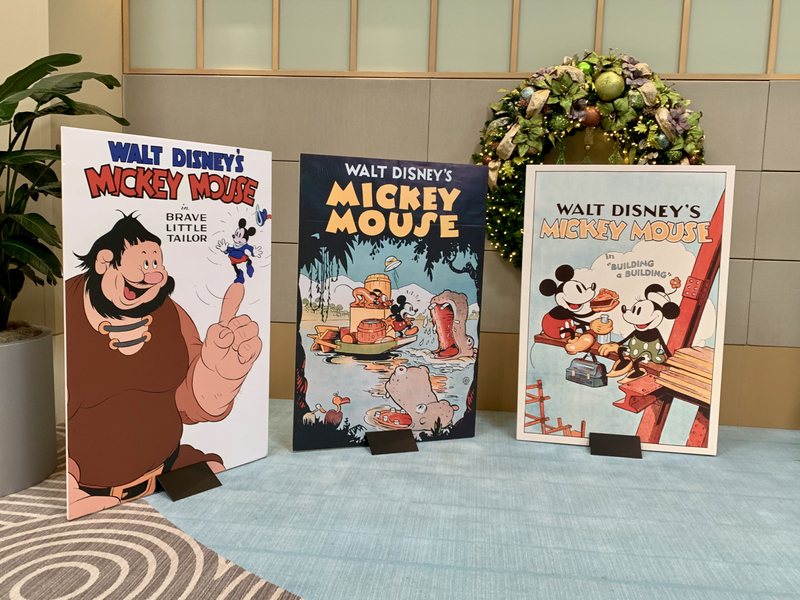 Most of the panels this year celebrated Mickey, but some went a bit beyond and, of course, a full panel was devoted to Minnie too. 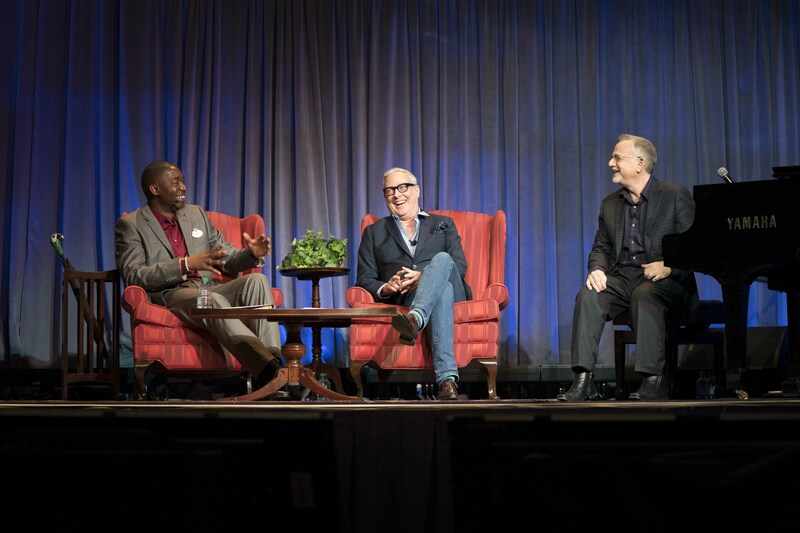 As a special evening attraction for attendees, Marc Shaiman performed and he and Scott Wittman discussed their creation of the music for Disney's new feature film Mary Poppins Returns with Disney Parks Blog host Mark Daniel. 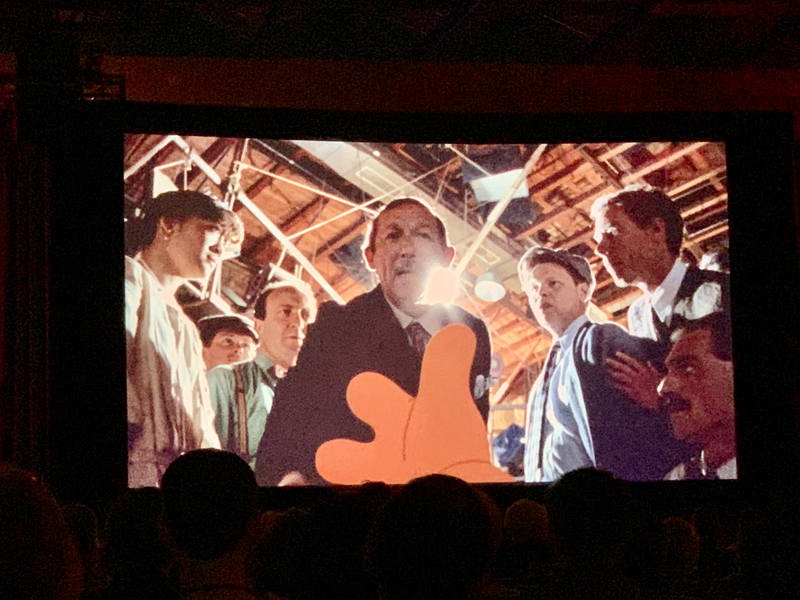 Legendary film producer Don Hahn, master Disney animator Mark Henn, and animation legend John Pomeroy looked back at the animators who defined Mickey's career, and peeked behind the scenes of some of his most famous roles, including Steamboat Willie and Get a Horse! 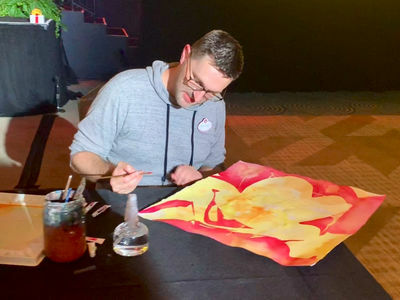 Mark Henn painted the official portrait of Mickey for his 90th birthday, joining Disney Legend John Hench who painted official portraits for Mickey's 25th, 50th, 60th, 70th, and 75th birthdays, and artist Paul Felix who painted the official portrait for Mickey's 80th birthday. Both Mark Henn and John Pomeroy each returned to the stage later to teach attendees the art of drawing Disney characters in "Animation Academy" sessions. 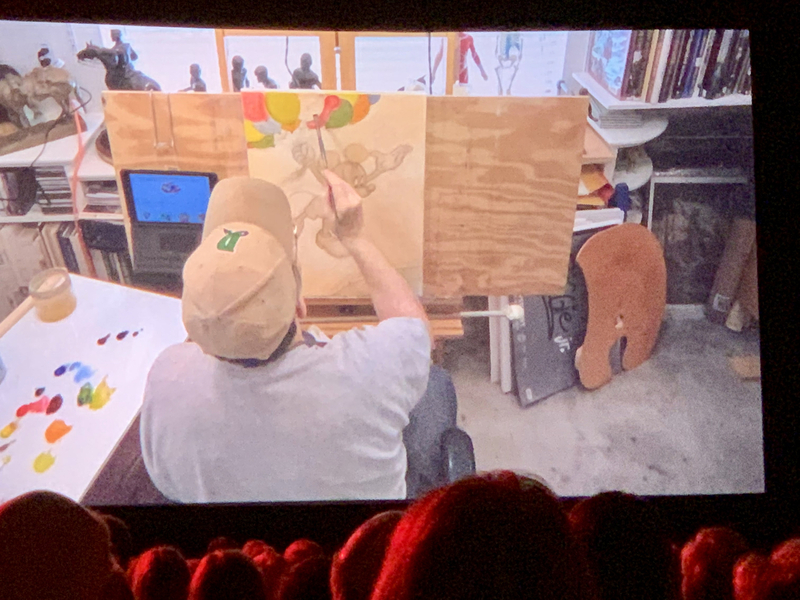 Mark Henn shows a time lapse video of his creation of Mickey's official 90th birthday portrait. Photo by Alan S. Dalinka. 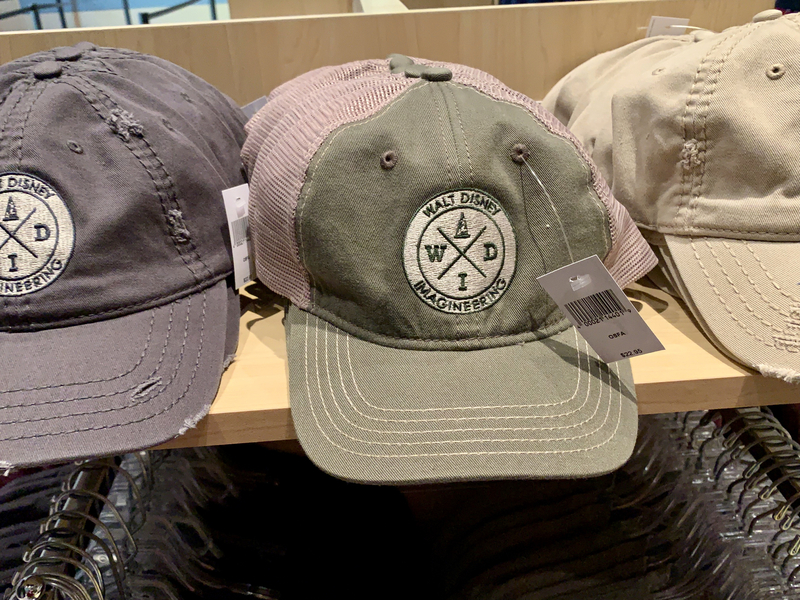 Walt Disney Archives Director Becky Cline shared some of what today would probably be called "off-model" Mickey moments, merchandise, and more! Most of the strange and bizarre representations are from Mickey's early years, including his appearance in the Fanchon and Marco Vaudeville show, "Mickey Mouse Idea," from the 1930s. 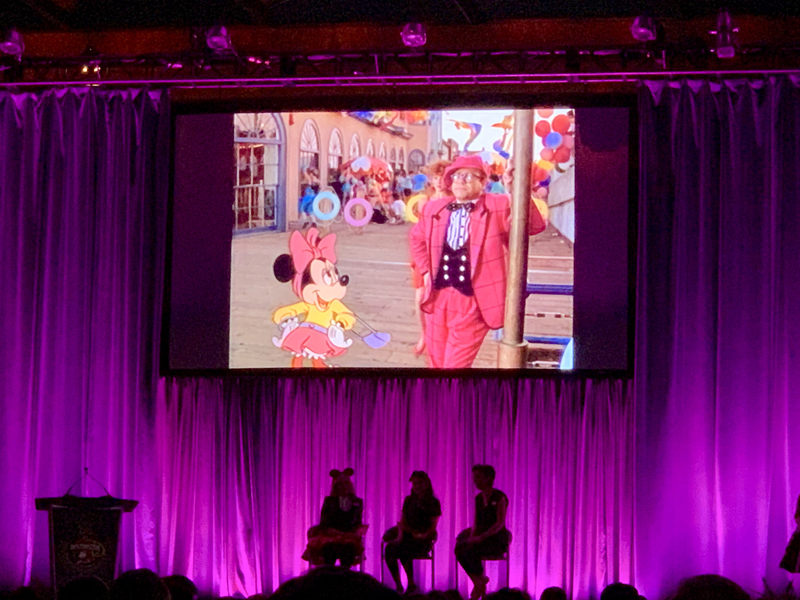 She concluded her presentation by showing one of her favorite Mickey shorts, the more recent but still weird Runaway Brain from 1995. Becky Cline presented "Weird Disney", including oddities such as a monkey dressed up as Mickey (with Disney's permission) in an early film, his appearance in Vaudeville, and the earliest representations of Mickey in Disneyland. Early in Disneyland's history, Mickey and Minnie looked a lot different than they do today. 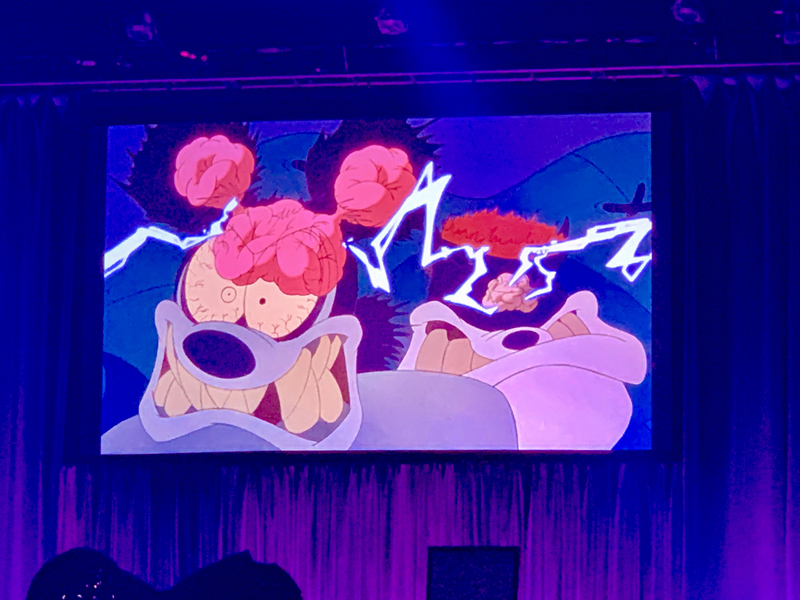 Mickey Mouse short film "Runaway Brain" from 1995 is one of the "Weird Disney" authorized representations of Mickey; Becky Cline says it is one of her favorites. Photos by Alan S. Dalinka (except as noted). 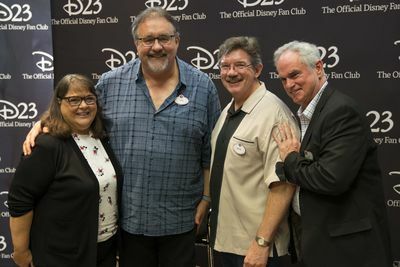 After their presentations, Becky Cline, Don Hahn, Mark Henn, and John Pomeroy met with invited media to discuss more about their careers, "Weird Disney," and Disney animation through the years. 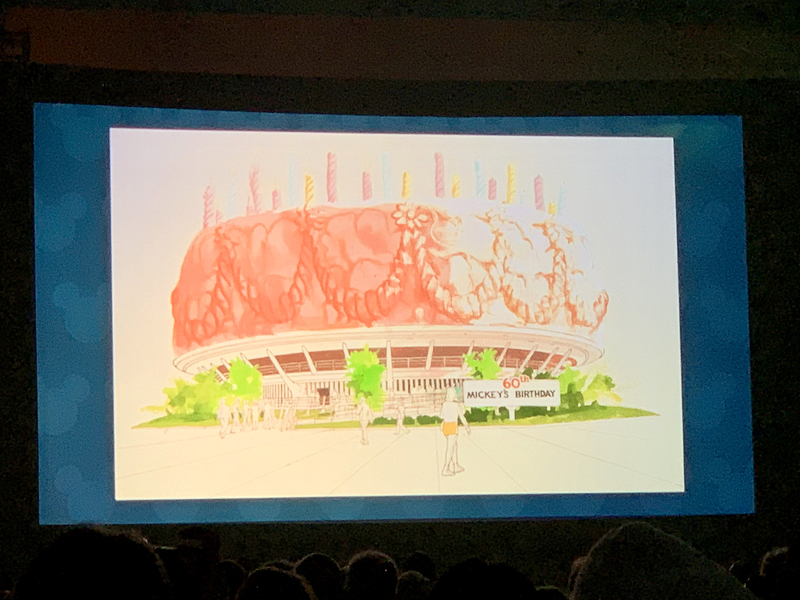 As for "weird" Disney projects, producer Don Hahn revealed that he worked on a musical sequence about the bends for Epcot's Living Seas pavilion. Animators Mark Henn and John Pomeroy talked about how touched they are when they see folks dressed as the characters they created. And Becky Cline advised that folks that want to become a Disney animator should go "watch the films" and the rest of the panel concurred, noting how much easier that is in today's digital age. 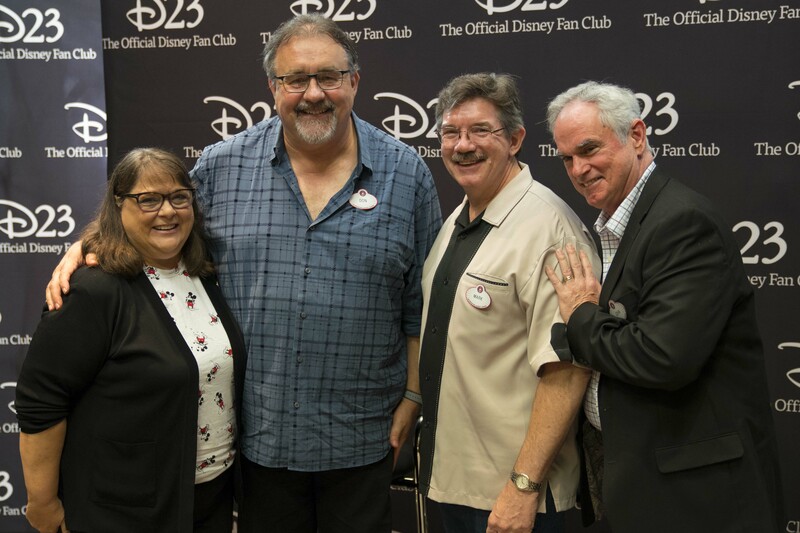 After their presentations, Director of the Walt Disney Archives Becky Cline, Legendary Film Producer Don Hahn, Master Disney Animator Mark Henn, and Animation Legend John Pomeroy met with invited media at D23's Destination D: Celebrating Mickey Mouse. Photo Courtesy D23: The Official Disney Fan Club ©Disney. Voices of the "Fab 3"
Voice actors Bret Iwan (voice of Mickey Mouse) and Bill Farmer (voice of Goofy and Pluto), along with host Ashley Eckstein (a voice actress herself, best known as Ahsoka Tano on Star Wars: The Clone Wars and Star Wars Rebels), discussed the voices of Mickey, Goofy, and Pluto through the years, sharing their own personal insights on voicing some of the world's most iconic characters for films, Disney Parks, video games, and more. 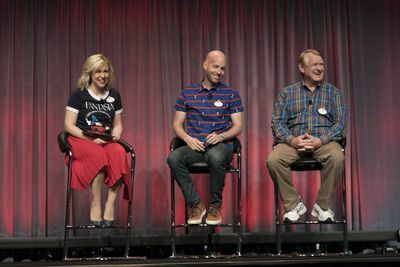 Host Ashley Eckstein led a discussion with Bret Iwan (voice of Mickey Mouse) and Bill Farmer (voice of Goofy and Pluto) about care-taking the voices of Mickey, Goofy and Pluto. Image courtesy D23: The Official Disney Fan Club © Disney. Disney archivists Kevin Kern and Mike Buckhoff showcased special items from the Walt Disney Archives representing key moments in Mickey's career. 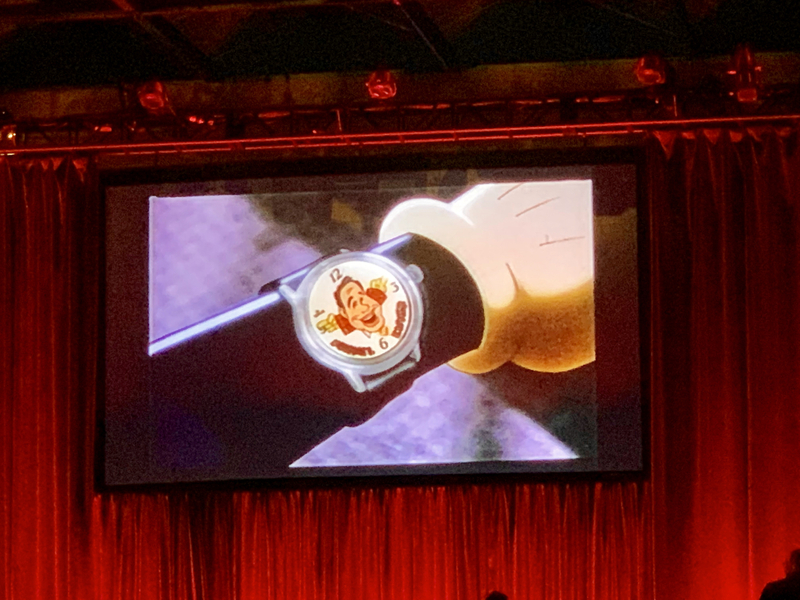 From the first Mickey Mouse wristwatch to the fashion collaborations of today, the panel looked at the past, present, and future of Mickey Mouse collectibles. 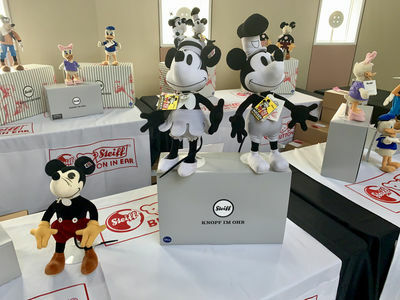 The panel told stories of how some of the earliest licensed Mickey products helped bring several companies back from the brink of oblivion-companies that are still around and, indeed, several early relationships continue as Disney licensees today. For example, the first Mickey Mouse licensed wristwatch was created by Ingersoll in 1933 in connection with the Chicago Worlds Fair; Ingersoll was on the brink of bankruptcy at the time, and with sales of this watch through Sears, it regained its financial footing. The company, now known as Timex, remains a Disney licensee today. Toy train manufacturer Lionel was in receivership in late 1934, but was able to get the financing necessary to turn the company around in 1935 on a Mickey Mouse licensed train. Some of the other long-time licensees the panel discussed included: Hallmark (1934), Fisher Price (1940s), and Mattel that started its relationship in connection with the Mickey Mouse Club (mid-1950s). Legendary producer Don Hahn paid tribute to Mickey's cinematic legacy, sharing rare clips of many of his biggest—and lesser known—movie moments. Mickey's most famous cinematic appearance may be his turn as the "Sorcerer's Apprentice" in Fantasia (which was shown to attendees in its entirety), but he also starred in roles such as The Prince and the Pauper, Fun and Fancy Free, Hollywood Party, and more. 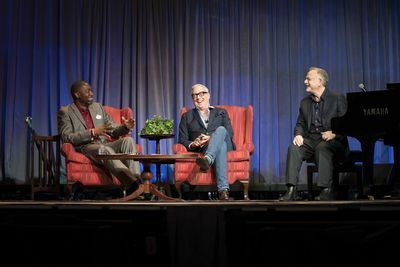 Disney Parks Blog host Mark Daniel welcomed Marc Shaiman and Scott Wittman, the songwriters behind the music of Disney's all-new original musical sequel Mary Poppins Returns to the stage for a behind-the-scenes look at the new film—including a special video featuring stars Lin-Manuel Miranda and Emily Blunt sharing a favorite memory from making the film. Marc Shaiman, who also wrote the new film's score, took to a piano to perform some of the film's new songs. Panel host Mark Daniel chats with Scott Wittman and Marc Shaiman, the songwriting team from "Mary Poppins Returns." The duo presented a special behind-the-scenes look at their original songs from the film and shared their lifelong love for the original "Mary Poppins" film during "An Evening of Music with Marc Shaiman and Scott Wittman." Photo Courtesy D23: The Official Disney Fan Club ©Disney. 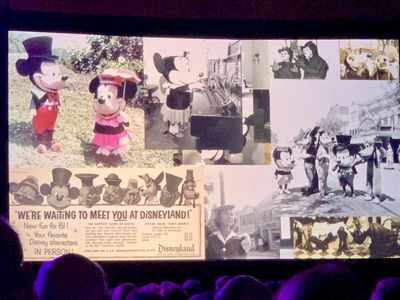 Disney archivist Kevin Kern and Walt Disney Imagineering's Steven Vagnini shared stories behind some of Mickey's adventures that never made it to the screen. Bret Iwan (voice of Mickey Mouse) and Bill Farmer (voice of Goofy) performed a live table read of a lost radio show episode. 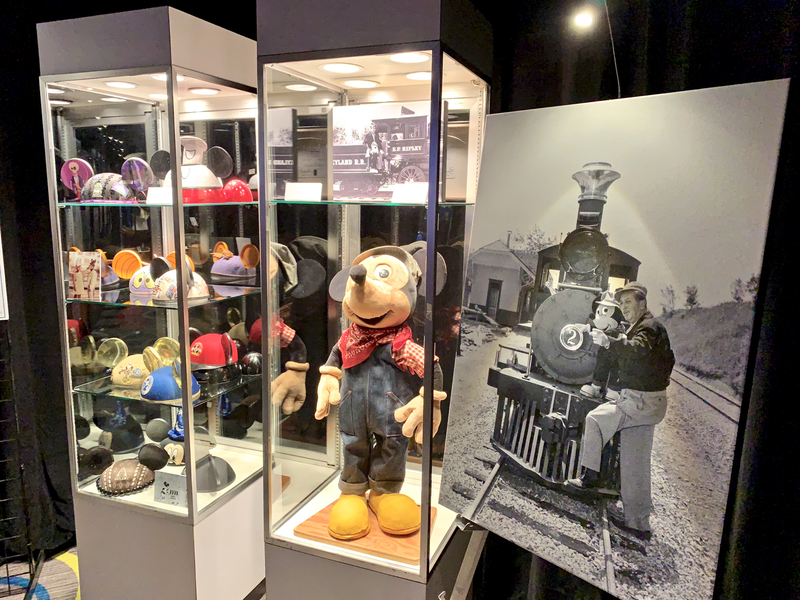 Becky Cline (Director of Walt Disney Archives) and Darren Romanelli (Creative Director + Designer, MTO) provided an inside look at the making of Mickey: The True Original Exhibition, which is now open in New York City. 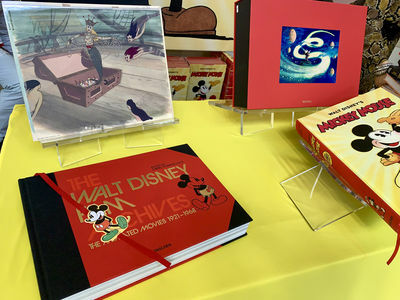 New works were created celebrating Mickey just for the exhibition by contemporary artists that had been given access to Disney Archives materials to inspire them. You can read more about the exhibit in this article by MousePlanet contributing writer Gregg Jacobs. 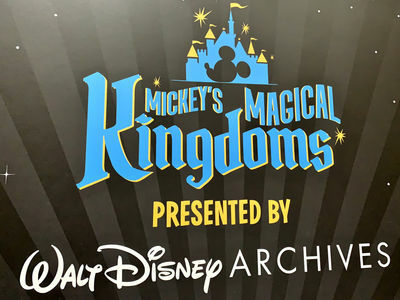 D23 Gold and Gold Family members can save $10 on tickets for Tuesday through Thursday visits to the exhibition starting January 2, 2019 (see details on this page of D23.com). 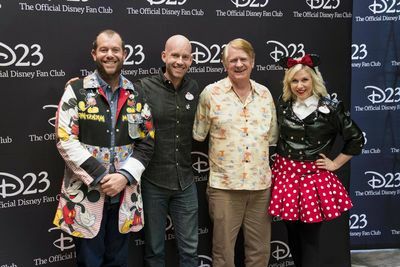 Darren Romanelli, Bret Iwan, Bill Farmer, and Ashley Eckstein met with the invited media after their presentations. 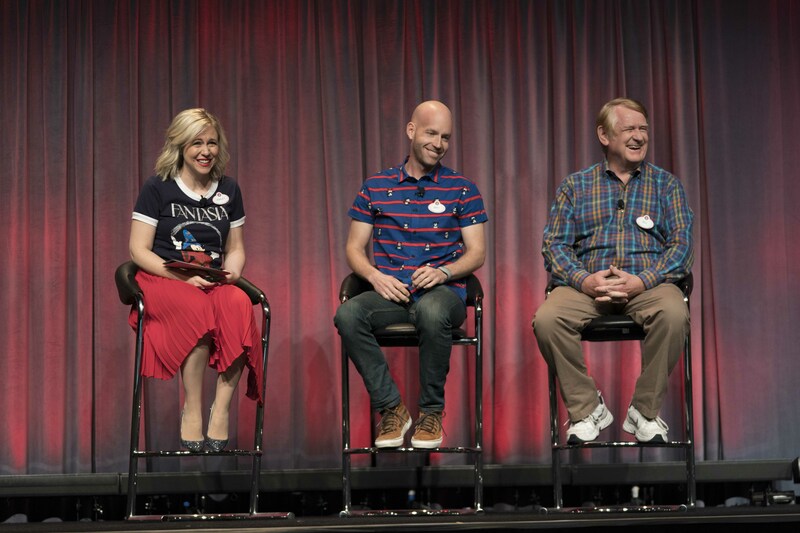 Photo Courtesy D23: The Official Disney Fan Club ©Disney. 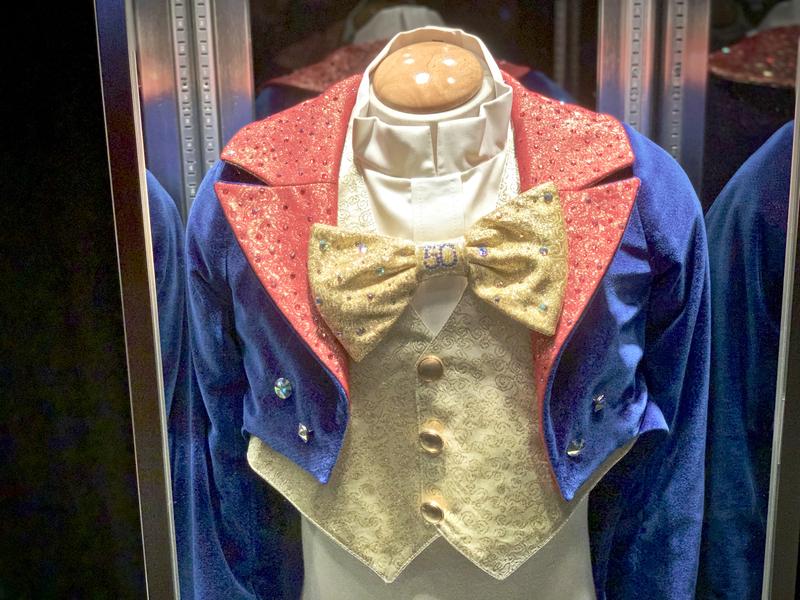 A panel of members of Disney's Character & Costume Design & Development team shared details about the extensive wardrobe of costumes worn by the famous duo at special events and at Disney Parks, Resorts and Cruise Ships around the World. Mickey and Minnie each showed off a number of different outfits and then Mickey and Minnie donned their new 90th birthday party attire and were joined on stage by Pluto, Daisy, Donald, Chip and Dale, and (as a surprise) Clarabelle Cow, all in their party costumes as well. Goofy, Daisy Duck, Donald Duck, Mickey Mouse, Minnie Mouse, Pluto, Chip, Dale, and Clarabelle appeared on stage in their special celebration costumes for Mickey's 90th. Image courtesy D23: The Official Disney Fan Club © Disney. Minnie's big anniversary was celebrated with a countdown of nine things that we love about her—from her multi-talented musical skills to her impact on fashion. The panel, hosted by Ashley Eckstein, along with Fabiola Garza, and Biana Brost, shared rare clips of Minnie (including a music video with Elton John) and a special announcement that Ashley Eckstein is designing special limited edition Princess Leia-inspired Minnie ears that will be available next year. 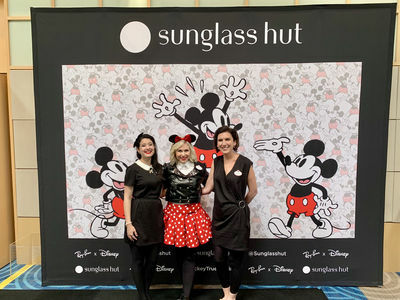 Fabiola Garza, Ashley Eckstein and Biana Brost celebrated their love of Minnie Mouse. Photo by Alan S. Dalinka. Minnie Mouse was the object of Elton John's affection (and the other way around) in a vintage music video shown during Destination D. Photo by Alan S. Dalinka. 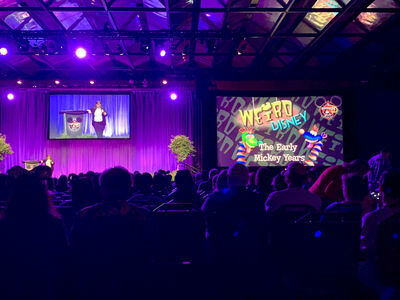 Walt Disney Imagineering's Alex Wright, Wyatt Winter, and Jason Grandt shared details and stories behind Mickey and his friends' history at Disney Parks around the globe. From Mickey Mouse Revue, which opened at Magic Kingdom with the resort in 1971 before moving to Tokyo (now retired) to Mickey & Minnie's Runaway Railway under construction at Disney's Hollywood Studios, the panel shared details about how attractions, experiences, and more were created throughout the history of Disney Parks. The 1989 film "Mickey's Audition" that was made for and played in the (then-named) Disney-MGM Studios Park and later in Magic Kingdom's Main Street Cinema included Roy E. Disney playing the role of his Uncle Walt "discovering" Mickey when he came to Hollywood. Destination D attendees also got to see more of Mickey's film appearances that were parts of the opening attractions at the former Disney-MGM Studios Park, including Mickey wearing his Michael Eisner watch and, (in another clip not shown here,) using his Michael Eisner phone. 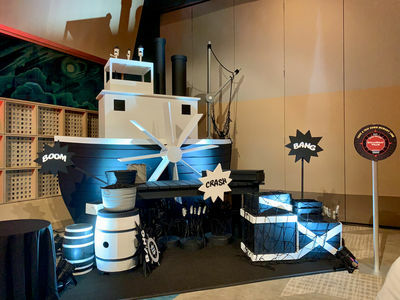 Walt Disney Imagineering's Kevin Rafferty and Charita Carter shared behind-the-scenes details on this upcoming attraction, including that some of the sound effects will be made using whistles originally used in Steamboat Willie. The attraction is scheduled to open at Disney's Hollywood Studios inside the Chinese Theatre in fall 2019. An all-new Mickey Mouse short, Mickey Mouse in Perfect Picnic, was created for the ride's pre-show. It sets the stage for the ride and introduces the new theme song by composer Chris Willis (who has composed music for the current run of Mickey shorts that play on Disney Channel). The music for the attraction was recorded by a 65-piece orchestra. To create the theme song itself, Chris Willis followed the three elements that Disney Legend Richard Sherman says he learned from his famous composer father: singable, simple, and sincere. During the ride, guests will travel into the film itself via a locomotive (with Goofy as the engineer) that serves as a character in the story and has been painted to look good in both "black light" and "white light" parts of the attraction. 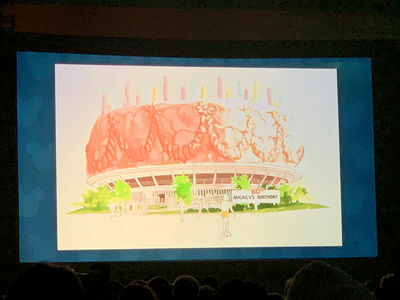 The imagineers say that the attraction uses "every trick we know" and that they employ a lot of "cartoon logic," so they hope riders will not expect what will happen next along the way. The locomotive, in turn, also appears in animated form in the short, but, with Goofy at the controls, what could possibly go wrong? The conclusion of Destination D: Celebrating Mickey Mouse was a pajama party featuring Mickey, Minnie, Pluto, Donald, Daisy, and Goofy in their PJs. In addition to sweet treats, guests were able to check out Four Artists Paint One Mouse, where artists Jeff Shelly, Fabiola Garza, Richard Terpstra, and Tim Rogerson all painted their own special renditions of Mickey in their individual styles. 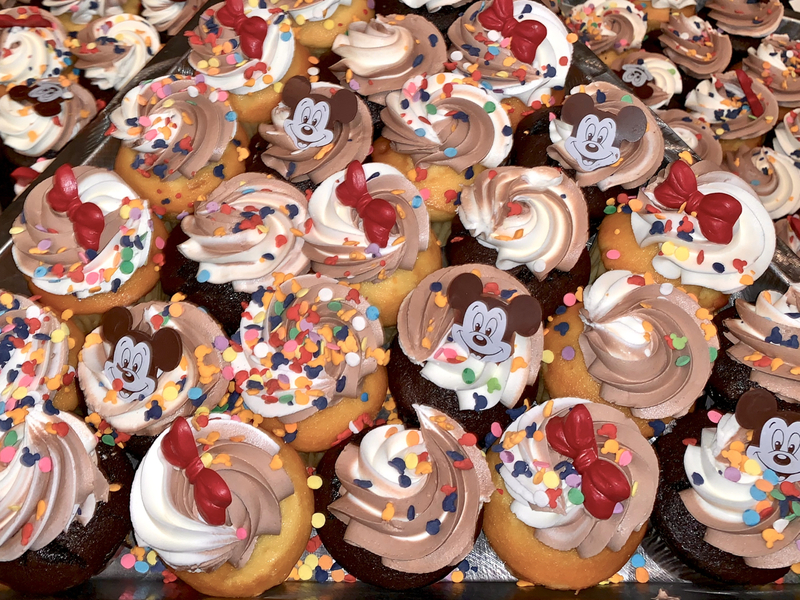 Mickey, Minnie, Pluto, Donald, Daisy, and Goofy headlined the pajama party at the conclusion of Destination D.
Cupcakes celebrating Mickey and Minnie were some of the sweets served at the pajama party. Artists Tim Rogerson (left) and Jeff Shelly painted renditions of Mickey at the party. Fabiola Garza painted a salute to Sorcerer Mickey. 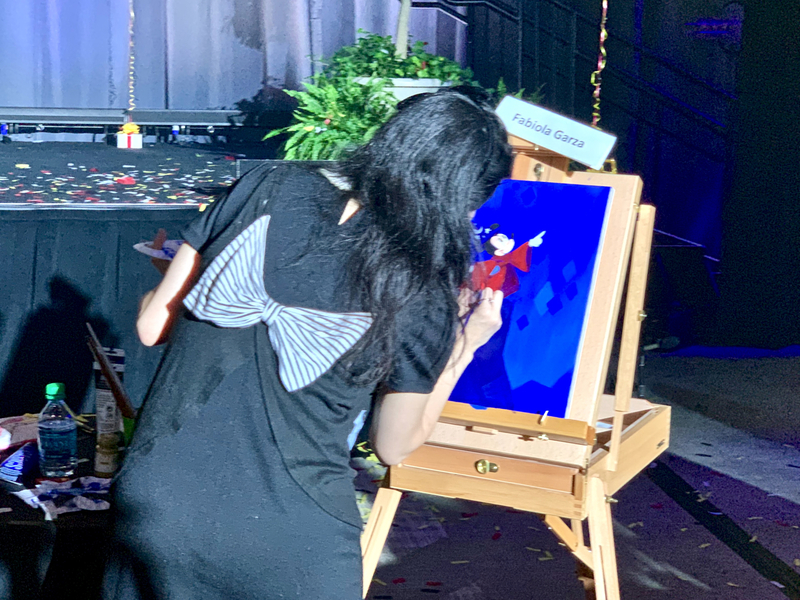 Richard Terpstra painted Mickey as part of "Four Artists Paint One Mouse" at the Destination D party. 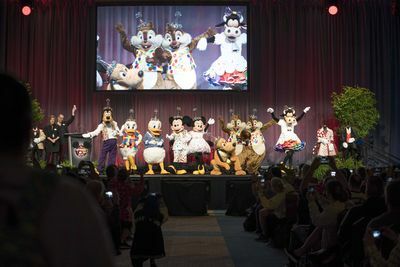 D23's Michael Vargo, joined by Mickey, Minnie, Donald, Daisy, Pluto, and Goofy led the D23 attendees in singing Happy Birthday to Mickey and Minnie. Video by Alan S. Dalinka. 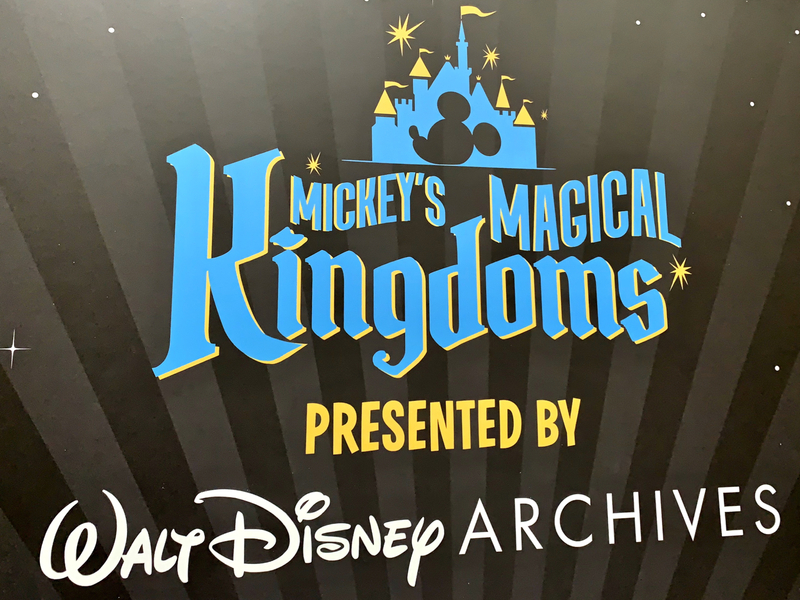 During breaks from the main presentations, attendees were free to view the Walt Disney Archives exhibit, Mickey's Magical Kingdoms, which was put together specifically for Destination D with photos and artifacts from the archive's vast collection. Archives Director Becky Cline said Mickey is the "host" of the Disney theme parks all over the world, and has attended the opening of all of them. The exhibit was designed to reflect Mickey in the different eras in the parks from Disneyland's 1955 opening up to the present. The archive boasts an image collection numbering over four million. For the photo collection display at Destination D, Becky Cline and the archives team worked to provide alternative photos taken on the same day as some of the more famous photos fans have seen before. For example, many have seen film footage and photos of Walt Disney holding a plush Mickey Mouse aboard one of the locomotives at Disneyland on its 1955 opening day. At the Destination D exhibit, not only was that Engineer Mickey plush doll on display (a one-of-a-kind, nearly three foot tall creation specially made for opening day), a rarely publicly seen photo from an opening day photo shoot with Walt, the locomotive, and that doll was on display too. Reproductions of three of the exhibit's photos were also available for sale to attendees as limited edition canvas prints. Becky Cline (Director, Walt Disney Archives) speaks with the invited media about Mickey's Magical Kingdoms, the special exhibit put together by Walt Disney Archives just for Destination D this year. Photo Courtesy D23: The Official Disney Fan Club ©Disney. Destination D attendees could visit the special exhibition during breaks in the program. 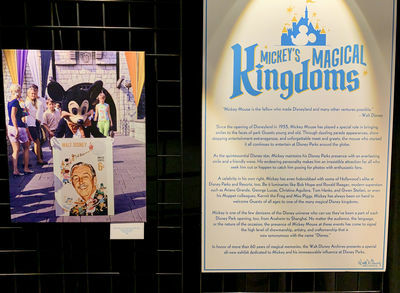 Walt Disney Archives photos and artifacts were presented to Destination D attendees like a curated museum exhibit. 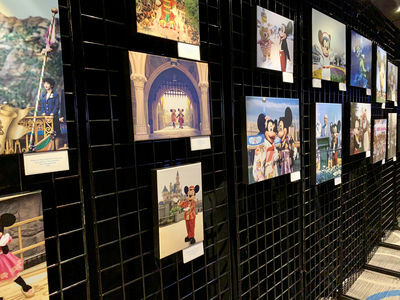 One wall of the exhibit was devoted to photos of Mickey Mouse at Disney Parks around the world in different eras. Along with a collection of Mickey "Ears" from Disney Resorts around the world (including Aulani on the lower left shelf), the nearly three foot tall Engineer Mickey plush doll created for Disneyland's opening was on display along with alternate views of Walt Disney holding the doll on opening day. 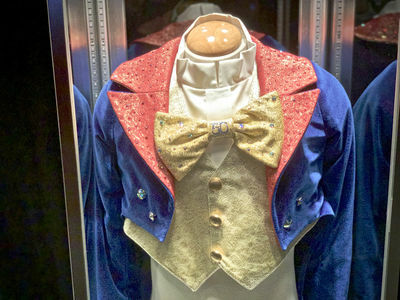 Mickey's tuxedo created for Disneyland's 50th anniversary celebration was on display. 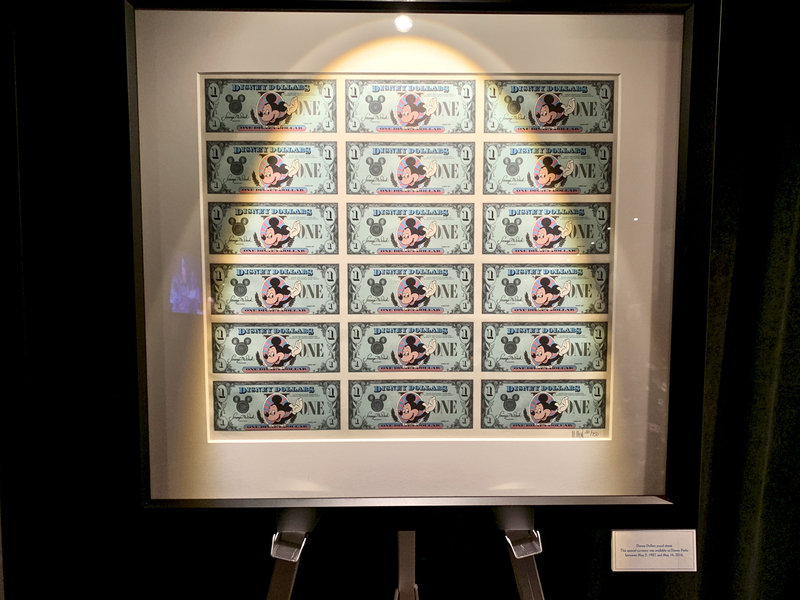 An uncut sheet of Disney Dollars was also on display, representing the Disney-issued currency that was available between May 5, 1987, and May 14, 2016. Attraction posters representing Mickey Mouse in park attractions were part of the exhibit as well. 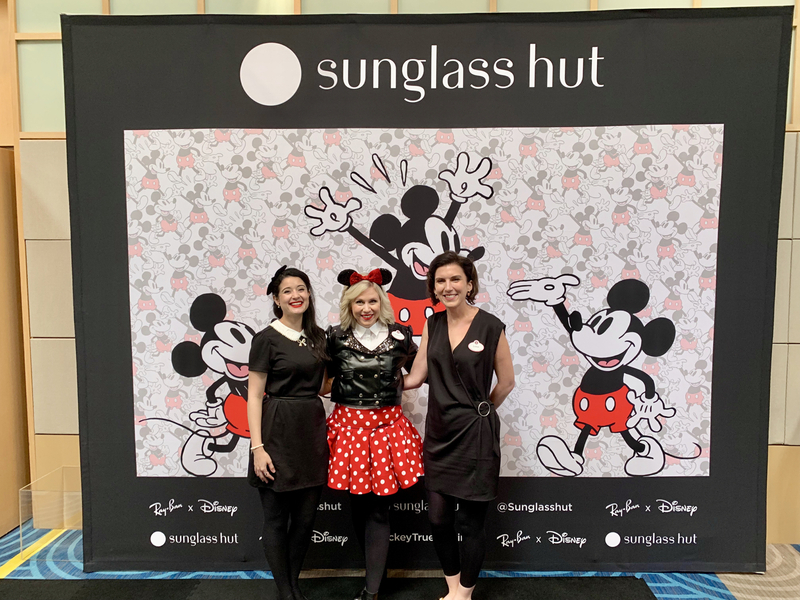 Another popular activity enjoyed by attendees at Destination D between the main presentations was posing for photos in front of the three-dimensional backdrops set up by D23. All of the scenes, of course, paid homage to Mickey. A display saluting Mickey's first-released short "Steamboat Willie" was a photo backdrop. "Plane Crazy," the first short film in which Mickey appeared (but the fourth theatrically released) was the theme of a photo backdrop. Mickey's front porch provided another photo opportunity. 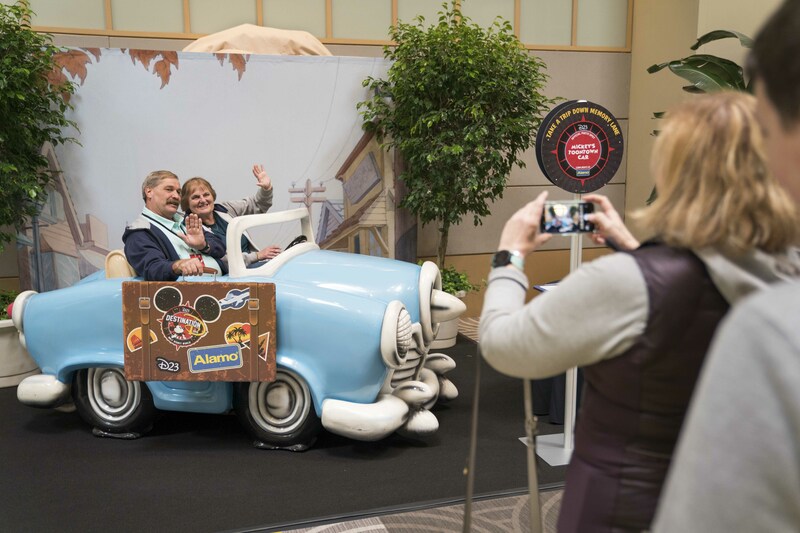 Attendees could pose for photos in Mickey's Toontown Car. (Photo Courtesy D23: The Official Disney Fan Club ©Disney). 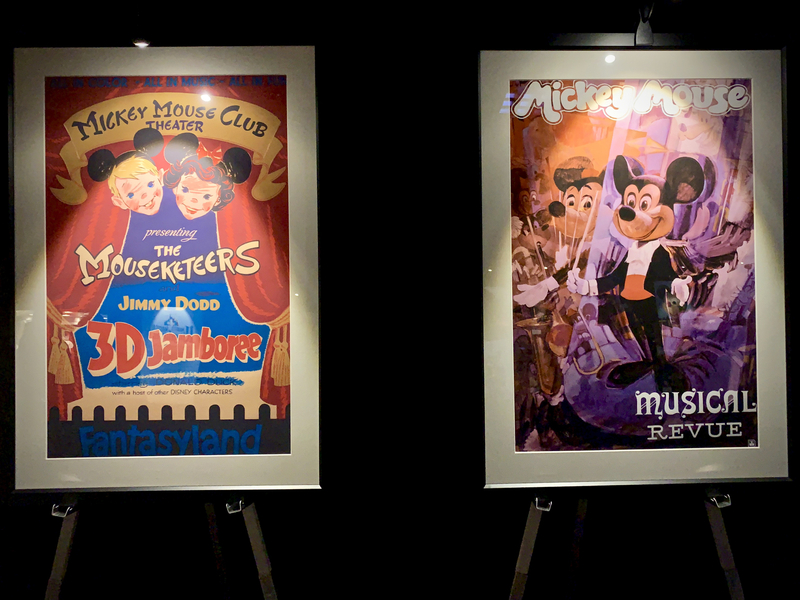 Reproductions of movie posters for Mickey's short films were also a popular photo spot. 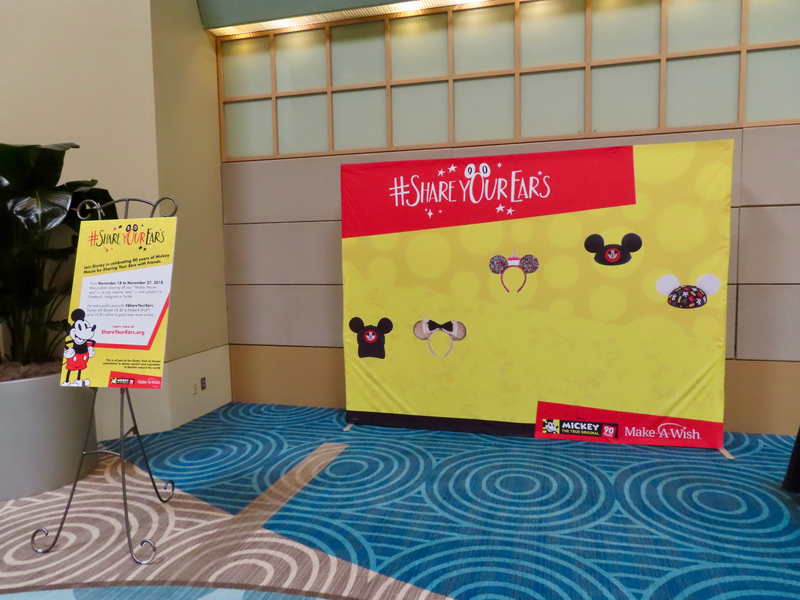 Finally, Disney's #ShareYourEars campaign to support Make-A-Wish Foundation encouraged attendees to pose in front of a special photo backdrop and to post the image on social media channels. The now-concluded campaign resulted in a $3 million donation by Disney to Make-A-Wish. 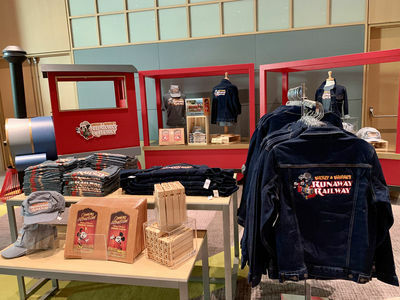 Sorcerer's Apprentice Ballroom was set aside as the Imagineering pop-up shop Mickey's of Glendale, providing attendees an opportunity to shop for Walt Disney Imagineering and other themed (often exclusive or limited edition) merchandise. There were also tables set aside outside the Fantasia Ballroom featuring the Walt Disney Archives prints and other specialty items. 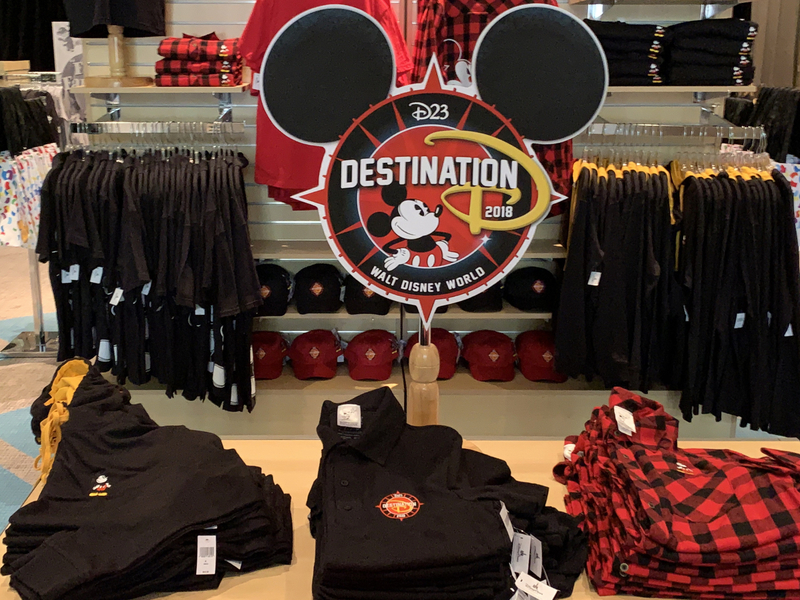 Mickey's of Glendale provided attendees the opportunity to buy apparel themed to the event. Lots of merchandise was available "Celebrating Mickey Mouse." 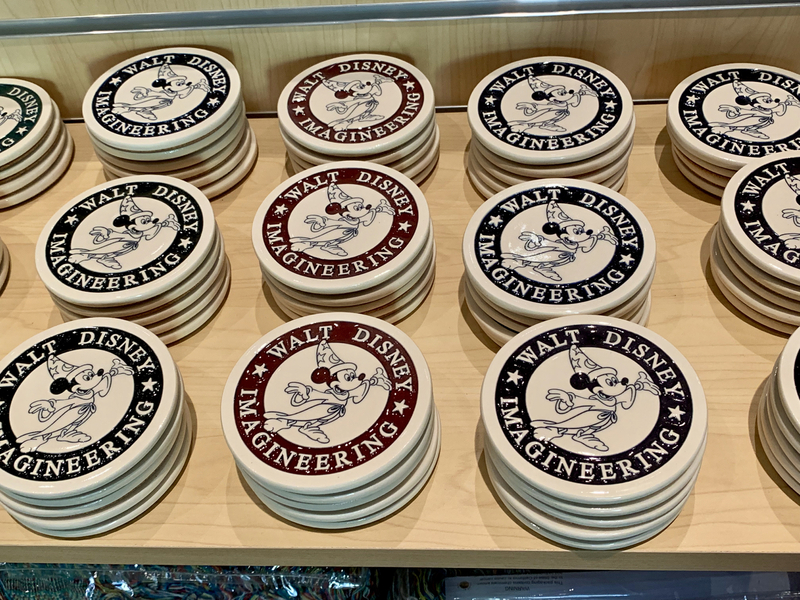 Like D23 Expo, Destination D provides attendees the rare opportunity to purchase Walt Disney Imagineering merchandise. 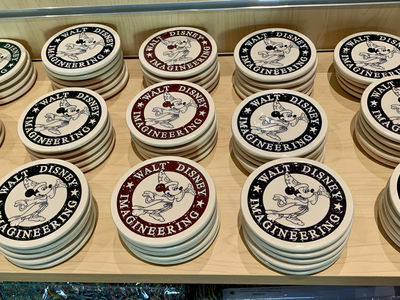 Imagineering merchandise available for sale included a number of different souvenirs featuring Sorcerer Mickey, as he is part of the WDI logo. Special limited edition Mickey & Minnie Mouse 90th Birthday plush dolls were available for sale to attendees (and, pin collectors should note that purchasers received corresponding limited edition pins). 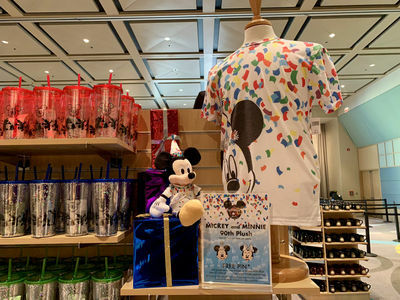 Limited edition Mickey & Minnie Mouse 90th Birthday merchandise featured the colorful confetti design like the costumes the pair will wear in their in-park celebrations starting January 18. Attendees were among the first to be able to purchase merchandise themed for the new Mickey & Minnie's Runaway Railway attraction coming to Disney's Hollywood Studios in fall 2019. In addition to Mickey's of Glendale, several specialty merchandise opportunities were also available at Destination D, including Steiff dolls. 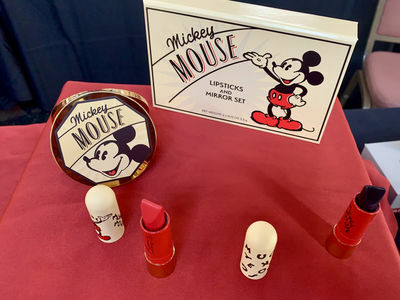 Makeup was available for sale in 1930s era Mickey Mouse colors. Coffee-table-sized reference books featuring Mickey Mouse were available as well. 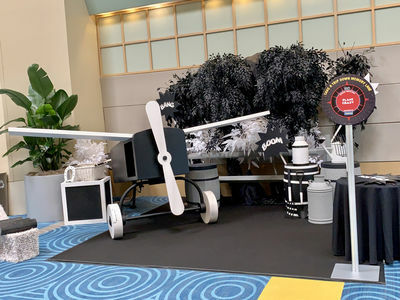 During Destination D, D23 announced a number of special events planned over the course of 2019, including the "anchor" event, the D23 Expo, August 23-25, 2019, at the Anaheim Convention Center, which will include Mousequerade costume contest, the Design Challenge, and a new exhibit from Disney Archives. 2019 also marks the 10th anniversary of D23 itself, which it will celebrate with a year-long "Fanniversary Celebration" including special giveaways, events, and exclusive content. Many D23 events are only available to paid members (Gold and Gold Family levels), but some are available to all members (complimentary memberships are called General Members). 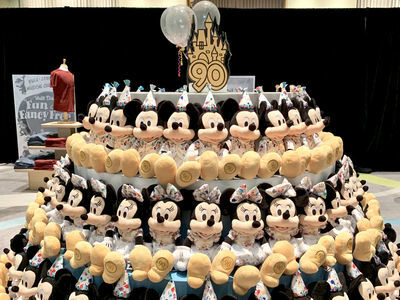 D23: The Official Disney Fan Club celebrates its 10th anniversary in 2019. Image Courtesy D23: The Official Disney Fan Club. RETURN TO WALT'S BIRTHPLACE: In 2016 and 2017, D23 Members had the amazing opportunity to visit Walt Disney's birthplace in Chicago. The home, which is being restored, was constructed by Walt's father, Elias, and designed by his mother, Flora. This June, D23 Members will have the chance to see the incredible progress made on bringing the home back to its initial glory. SCREENINGS ON THE WALT DISNEY STUDIOS LOT AND AT WALT DISNEY WORLD RESORT: Throughout the year, D23 will once again offer special screenings on both coasts of classic Disney favorites. As part of D23's anniversary celebration, all the films screened will also be celebrating milestones, including Up (10th anniversary), Sleeping Beauty (60th), Lucasfilm's Indiana Jones and the Temple of Doom (35th), and The Lion King (25th). THE OFFICIAL WALT DISNEY STUDIOS TOUR—PRESENTED BY D23: D23 Gold Member-exclusive tours of the historic studio lot return, and the tour—traditionally held four times a year—will run monthly starting in March including VIP experiences on select tours; tours will be open to all membership levels—General, Gold, and and Gold Family. 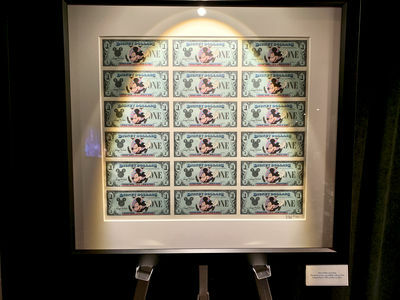 Guests are able to take a look inside the Walt Disney Archives and see Walt Disney's office suite during the tour, which offers fans a unique perspective on historic moments from Disney films, television shows, and theme parks. D23'S LUNCH WITH A DISNEY LEGEND: Beginning in January, D23 brings back these exclusive luncheons with Disney luminaries. This year, D23 will be crossing the country so more fans than ever can enjoy the opportunity to meet Disney Legends and hear their fascinating stories, including an intimate lunch with Linda Larkin—the speaking voice of Jasmine in Aladdin—in New York City next April. ADVANCE SCREENINGS: Next year, D23 Members can look forward to a host of exclusive, advance screenings across the country in partnership with our friends from The Walt Disney Studios. This year, D23 brought movie magic to 35 cities across the country, including Atlanta, Boston, Chicago, Dallas, Denver, Detroit, Houston, New York City, Philadelphia, and San Francisco. Plus, this year D23 Members attended the red-carpet premiere of Disney's Christopher Robin. 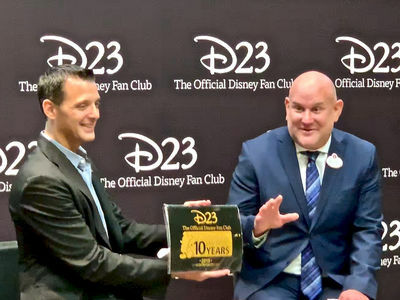 D23 Gold Members across the U.S. will once again be selected at random to receive complimentary movie passes, and in honor of D23's 10 years, 10,000 pairs of tickets will be sent throughout 2019. SIGNATURE EVENTS: D23 will bring back foodie favorite Sip & Stroll during the Epcot International Food & Wine Festival. 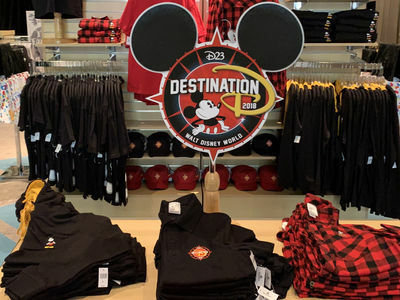 Walt Disney Imagineering's exclusive merchandise store, Mickey's of Glendale, will open its doors to members. 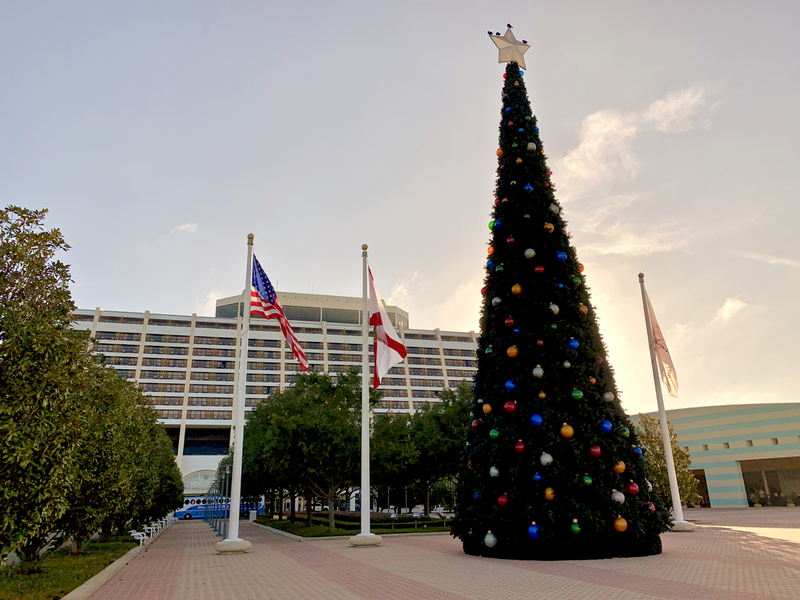 Guests at Walt Disney World Resort will once again make the holiday season bright next December, and on the west coast, members will be invited back to The Walt Disney Studios to Light Up the Season. 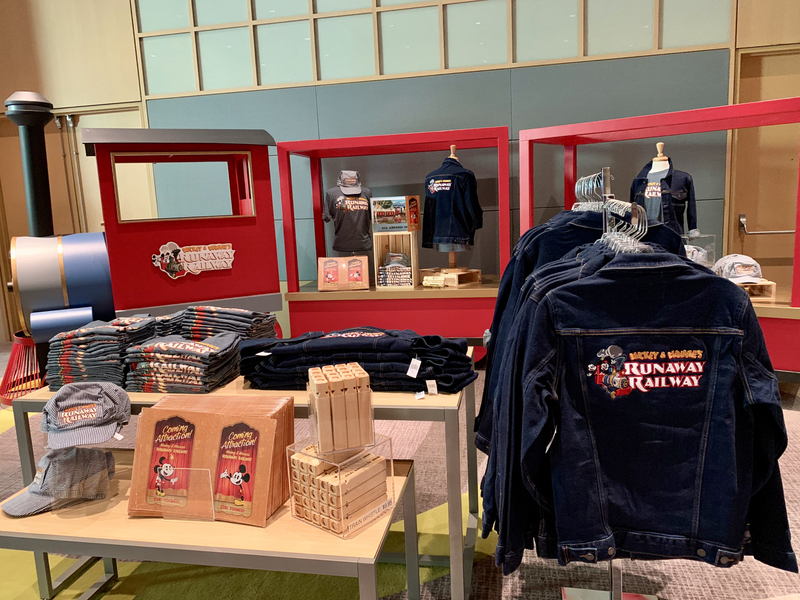 The Walt Disney Family Museum will extend a warm welcome to Gold Members for an exclusive look at a new exhibit in May. Also, D23's Behind-the-Scenes Experiences will return, offering exclusive, one-of-a-kind events to D23 Gold and Gold Family Members. MEMBER MIXERS: After mixing and mingling at complimentary gatherings in places such as Houston, Seattle, and San Diego in 2018, D23 will bring more mixers to U.S. cities in 2019, including a special San Diego Comic-Con mixer to celebrate Marvel Comics' 80th anniversary. 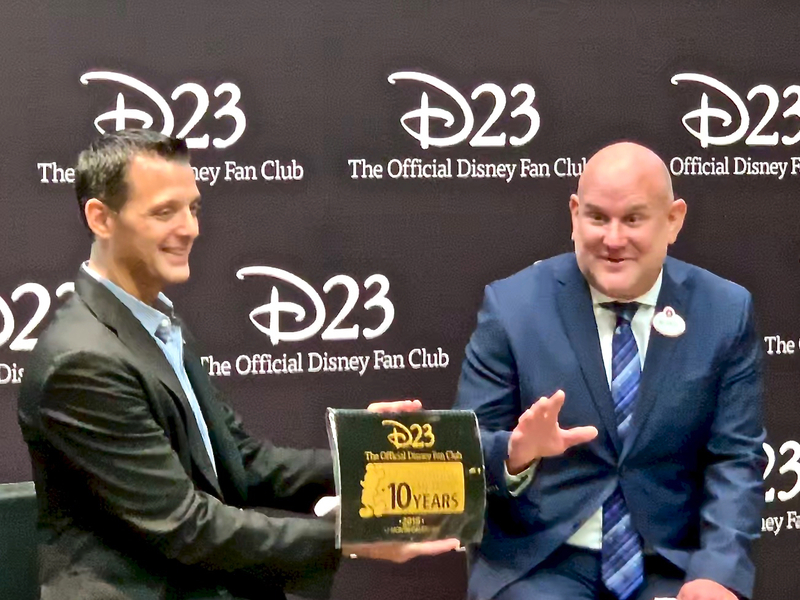 Jeffrey Epstein (The Walt Disney Company Director, Corporate Communications), and Michael Vargo (Vice President, D23: The Official Disney Fan Club), speaks with invited media about D23 Expo 2019 and upcoming D23 Member Events. Photo by Alan S. Dalinka. Of course, D23 EXPO 2019: The Ultimate Disney Fan Event returns. It's D23's biggest event of the year, when all of Disney's "wonderful worlds" come together once again August 23–25, 2019, at the Anaheim Convention Center for three days of once-in-a-lifetime live performances, star-studded presentations, exclusive collectibles, and more celebrating Disney, Pixar, Marvel, and Star Wars. Expo details and contest rules can be found on D23expo.com. Dates, ticketing information, and more D23 events will also be announced throughout the year. 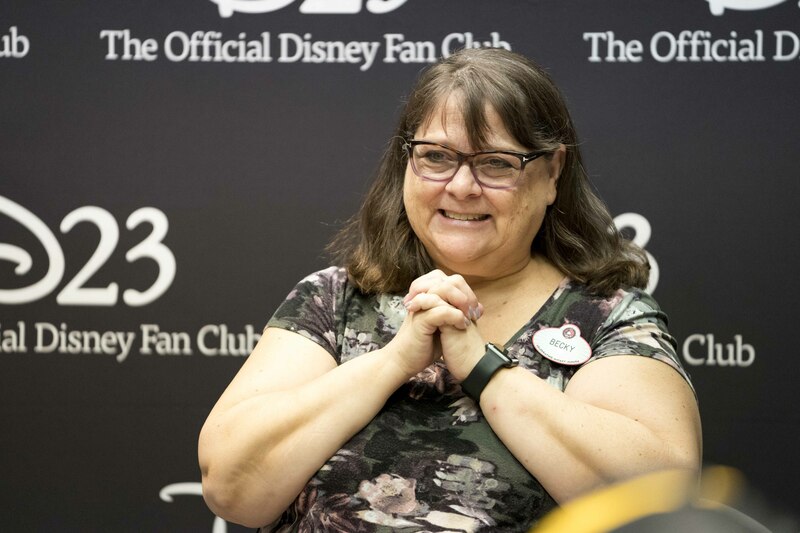 Full details on D23's lineup of 2019 special events can be found on the fan club's website at D23.com/events. As always, all events and dates are subject to change. 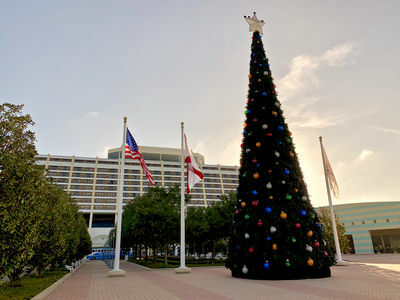 The Mickey floral bed outside Disney's Contemporary Resort Convention Center provides an appropriate image to close this article highlighting "Destination D: Celebrating Mickey Mouse." Photo by Alan S. Dalinka.